During the years, we have participated in various national and international projects. At present we are involved in a few projects, dealing with the documentation and registration of the rock carvings as well as with tourism. 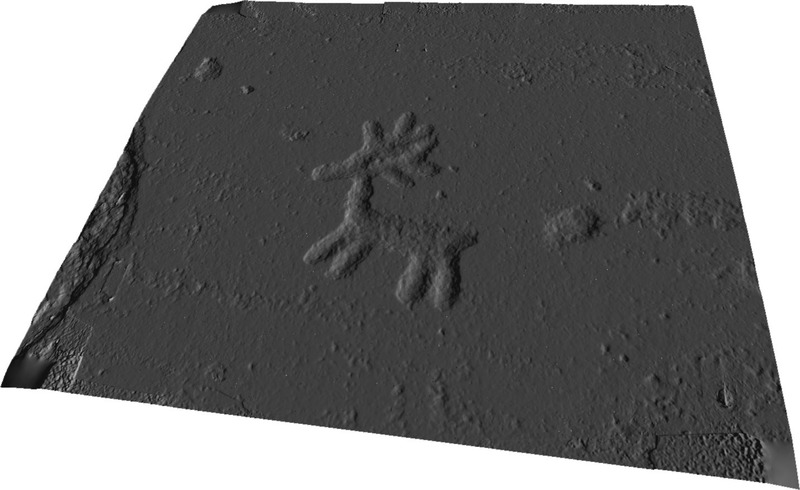 In 2015, the County Administrative Board of Västra Götaland has conducted an assessment project with three dimensional documentation techniques on rock carvings. The results of this project showed that 3D documentation with a handheld red laser scanner proved to be the most accurate, effective and user friendly method. 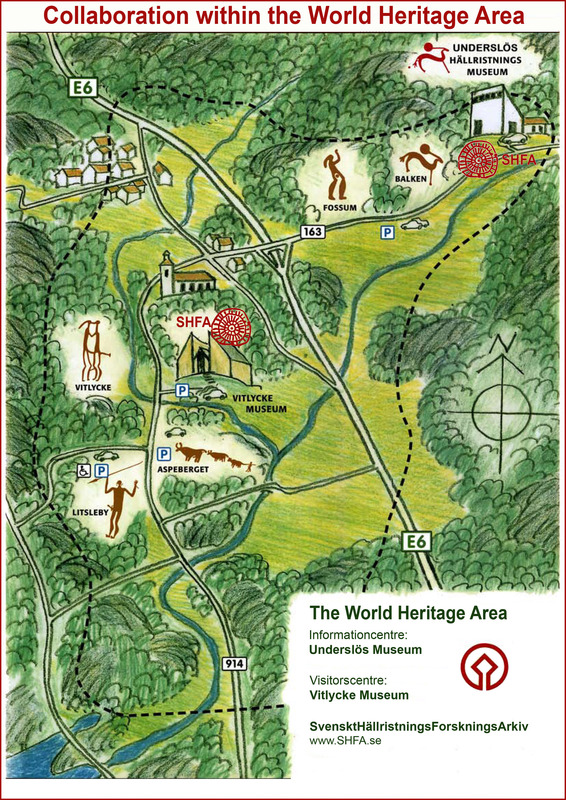 As a result of this the County Administrative Board has started a 3-4 years project in 2016, during which all 616 rock carvings in the World Heritage Area will be documented through laser scanning. The project is led by Henrik Zedig from the County Administrative Board together with Ellen Meijer and James Dodd from Tanums Hällristningsmuseum Underslös, but also the university of Gothenburg and the Swedish Rock Art Research Archives will be involved in this prestigious and unique project. Tanums Hällristningsmuseums experience and knowledge in rock art documentation has played a major role in the County Administrative Boards decision to employ Ellen and James from the museum. 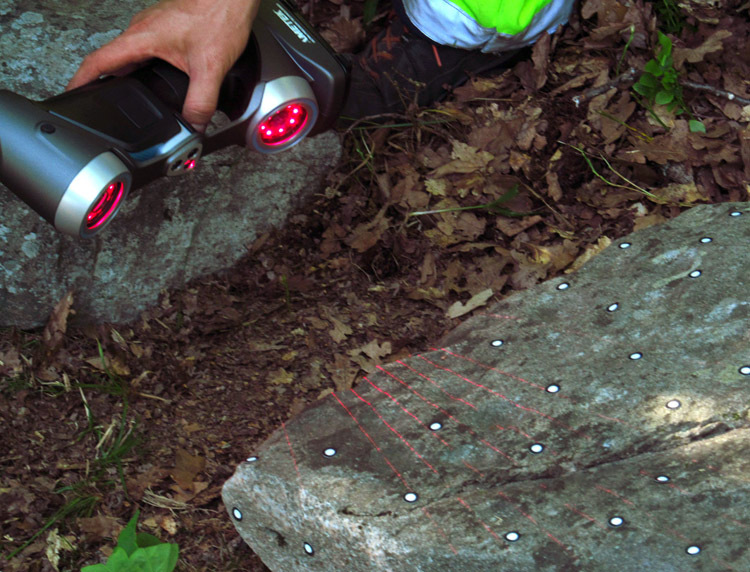 In the nearby future, the scanning data will be made available for researchers and generally interested persons through the Swedish Rock Art Research Archives. Structure from Motion (SfM) is a photographic technique that creates 3-dimensional images of an object. The technique is already frequently applied during excavation, with astonishing results. 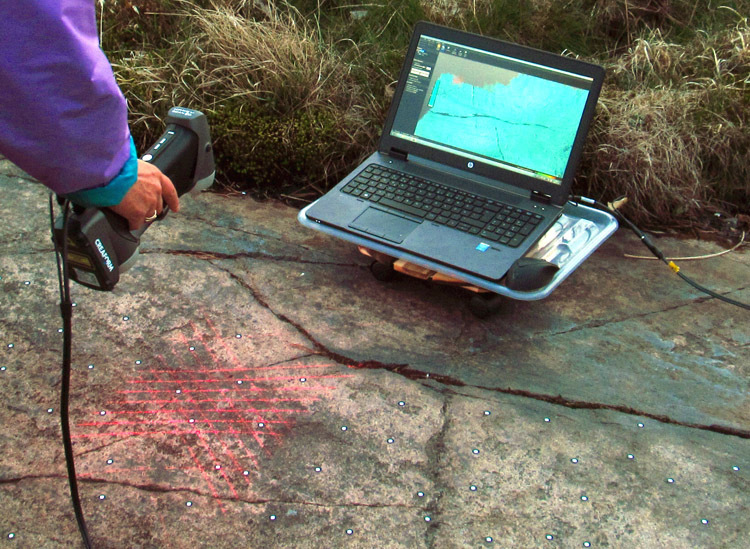 In May 2014 the Swedish Rock Art Research Archive (SHFA.se) started a pilot project commissioned by Länsstyrelsen i Västra Götaland, with the aim to document some of the rock carving panels at Aspeberget with this 3-dimensional technique. Expert in SfM Chris Sevara from the university in Vienna gives guidance in the making and processing of the photographs. During the first period of this pilot study, SHFA has requested the assistance from Tanums Hällristningsmuseum Underslös and Stiftelsen för documentation av Bohusläns Hällristningar for the fieldwork. The choice for Tanums Hällristningsmuseum is taken partly to make sure that the work is done by people with experience and knowledge of rock art documentation, and partly to offer education in a technique that in the future can be integrated in the documentation work of the Museum. In june 2013 a leader project Empire of the Sun was launched. It is a cooperation between Museum Odsherred in Denmark, visitorscentre Arche Nebra in Germany, Vitlycke museum and Tanums Hällristningsmuseum Underslös. This cooperation has resulted in a digital platform and an app. Through an esthetic and spectacular layout, users are guided to the destinations and will receive information concerning these three destinations, in the form of text and illustrations. The sunchariot from Odsherred, Sky disc from Nebra and Tanums rock carvings are unique finds and remains from the Bronze Age. Empire of the Sun connects the three countries which share these world-famous astronomical and archaeological remains. 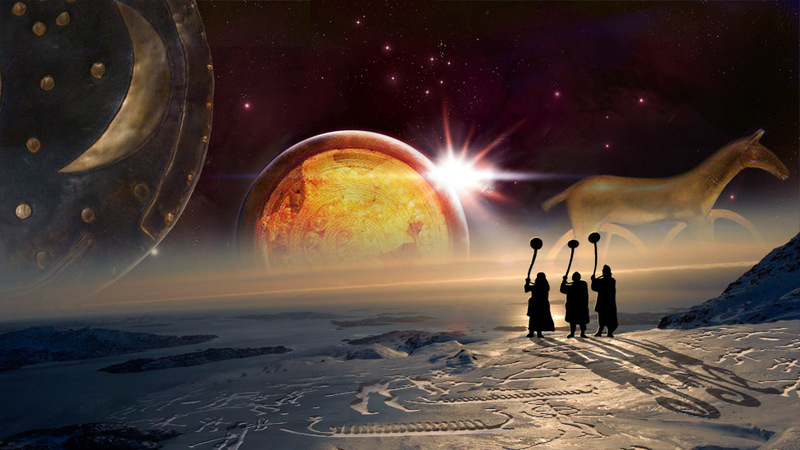 This shared history influenced the way in which prehistoric humans viewed the universe, and what they did to meet the needs of their communities. For thousands of years, the peoples of Europe have had economic and political connections - sharing goods, ideas and symbols. Even in prehistoric times, trading between different parts of Europe was commonplace. With these contacts came exchanges of ideas and beliefs that led to the same religious symbols being used by peoples all over Europe. SHFA is an international archive for the documentation and research of rock carvings from the university of Göteborg. The archive was set up with the help from Riksbanken Jubileumsfund, Riksantikvarieämbetets FoU-anslag and Vetenskapsrådet. In 2007 a research team was formed and an archive and digitization centre was set up at Tanums Hällristningsmuseum in Underslös and a nationwide inventory of all primary field documentation of rock carvings was started. By making both the historic depictions from the inventory and the new documentation material accessible in the database of SHFA establishes an unique opportunity for research of rock art documentation. 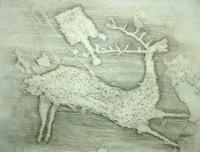 Sweden and Scandinavia has a close to 400 year old tradition of rock art documentation and research. The documentation through the years has resulted in a richness of archive material with a great research potentional, consisting of images on paper and transparent plast, castings, photo’s, maps and descriptions. All this material will be digitalized and added to the database. At present some 6.000 files are available on the website SHFA.se. South Sjaelland and Møn are rich with prehistoric remains, but they are not so well described or visible. Gypaf – Give your past a Future – is a project that started in 2006 in cooperation with Museum Sydøstdanmark in Vordingborg, Smykkemuseum Møn in Damme, Tanums Hällristningsmuseum in Sweden and, at a later stage, Vordingborg Kommune. The prehistoric remains are among others the gravehills and the rock carvings. Even though they seem to have been made for eternity, the present conditions have deteriorated, making them sensitive to weathering. It is therefore important to see to good documentation of these prehistoric remains, which often lead to new discoveries. A similar project was done at Bornholm, where the prehistoric remains increased from 150 known carvings at the start to 450 places at the end. 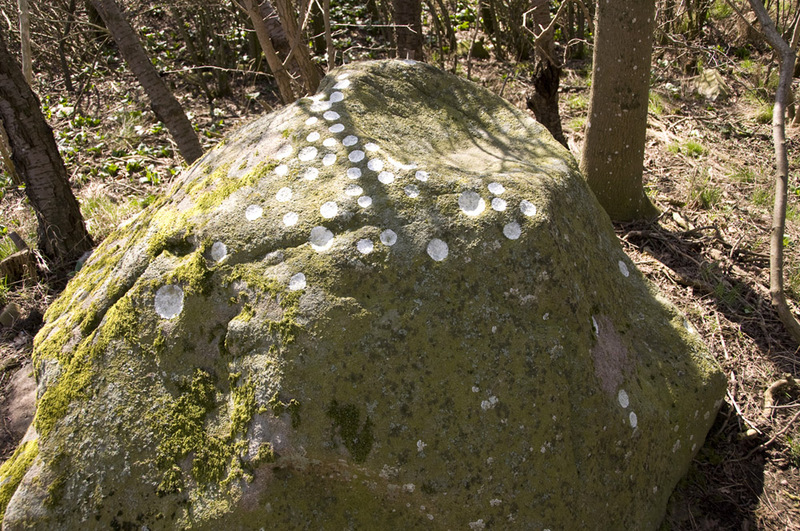 At Møn most carvings consist of cup marks – small round impressions between 20 – 60 mm in diameter and 2 – 20 mm deep. The target of the project is to find all known and if possible some new carvings and see to a good documentation.